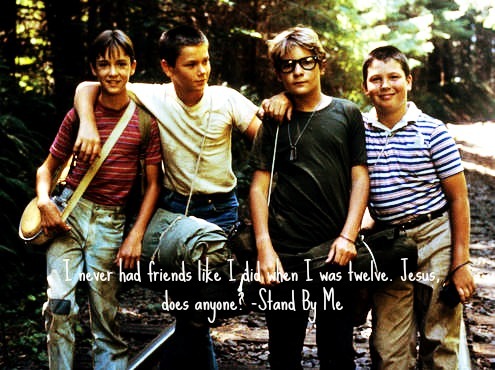 Several years ago, I watched the film Stand By Me with my dad one lazy Sunday afternoon. In case you aren’t familiar with the movie, it’s about four boys who are the best of friends that go on an adventure to try and find a dead body in the mountains. It’s a great movie with a great story, but there is one part of the movie that has stuck with me to this day. When I watched that movie at age 17, that quote struck me for some reason. I tried to think back to twelve, and who my friends were at that point in my life. I was in sixth grade, and going through the first (of many) ugly duckling and awkward turtle phases. Honestly, I don’t feel like I had any “true” friends at that precious age of twelve (at least not in the traditional sense-my grandmother and imaginary counterparts don’t count I’m afraid), so that part of the movie was lost on me. Then I pondered the other statement, the statement regarding friends being like busboys in a restaurant, coming and going in and out of our lives. At 17, I didn’t comprehend. I had a great group of friends that made it feel like they had always been a part of my life and always would be. Then, college happened. And subsequently, life happened after that. If I were to make my own Stand By Me film, I probably would feature events from freshman and sophomore year of college. Cavorting about on missions to find ghostly nuns in the haunted administration building, angsty conversations about true love, boys, finals, and the future in the student union until breakfast time the next day, extremely long rehearsals with fantastically rewarding productions (and plenty of inside show jokes and pranks back stage)-college was a time in my life where friends would drop that heavy text book they were studying and rush over to your dorm to lend an ear. It was the time we spent a lot of our time dreaming about the future and the great big ambiguous “after college” moment. It was the time where I was kid and adult simultaneously, and it was a time that I shall never forget. It’s funny, because once you graduate college, you don’t realize how precious that time was until it’s months or even years later. You spent all your time impatiently wishing for time to hurry up so you could go out into the world, get married, buy a house, make a couple babies, climb the corporate ladder, and be real grown ups. Once you get there though, you miss having friends a few doors down, the late nights of adventures and mischief, the library and other numerous resources you took for granted, the opportunities to travel that always seemed to frivolous or pricey for you, the sensible student. You miss only working weekends, Fridays off of class, and most importantly, you miss the simplicity that was life in college. I know, I know, back when I was in college I thought I’d never be as stressed as I was then. And in that moment, there really isn’t anything like cramming for five finals, working on several final projects, and being involved in every campus organization and working an internship because it will make you more marketable to the future work world. 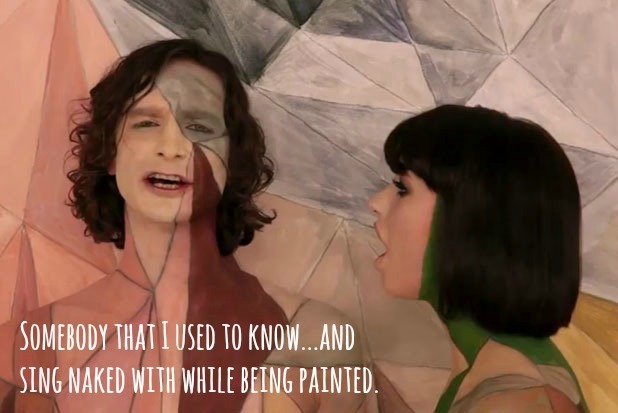 But now I’m there. I’m working my first “big person” job (which I am very much enjoying, more on that next week), making those plans to move out (for good this time), paying off student debt and personal debt and maintaining a budget and improving organization habits and eating habits and considering the future in terms of marriage and children and…something has happened. Several friends got married right after college, and shortly after started having kids. Than there is the handful of single friends in a long term relationship or that are newly dating. There are friends that are teaching English abroad and being the epitome of a traveling vagabond (in the best way possible!) and friends that are excelling in their career of choice. There are friends that are getting their masters, and friends that are leasing their first apartments to purchasing their first home. All excellent and wonderful adventures to embark on, but all different paths that everyone travels at different speeds and paces. And that’s where things change. The people I was closest to five years ago are different than who I was closest to ten years ago. The group I am currently close to will probably alter and differ in the next five years, and in the next ten years. Some friends and I have grown closer, while with others we have grown apart or more distant due to time, space, and differences. This makes me sound like a bad friend, and maybe I am, but I want all my friends to know that even if we haven’t talked in years or seen each other in awhile, it doesn’t mean we aren’t friends and I don’t care about you! However, what I am getting at is that we tend to choose the company of those that are similar to us. In high school, you clung to the group where you felt the most loved and safest and most confident to be yourself. In college, your friends were your study support group and the people you spent the most time together with-the people you lived with and the people that were involved in the same organizations. And, once again, the dynamic shifts post college. The engaged couples can share wedding concerns and ideas together, the married with children couples can swap parenting tips, the single friends stick together and reminisce about the old days-everyone befriends the friend that most resembles who they are NOW. Is that cynical? Slightly. Is it true? Quite possibly. I’m not saying that I have written off every friend that has since married or that has a kid the same way my married with children friends haven’t been ignoring me for the past few months. It comes down to we have different priorities at the moment, our personalities are adapting to the current environment, and we are seeking out people who understand and get what we are going through. When I first realized that this is what happens after college, I was fervently depressed. Now? I realize it’s a part of life, and that instead of worrying about how close one friend will be to me in ten years, I am enjoying NOW and the moments and memories we get to make at this very moment in our lives. Last weekend several friends of mine and I went sledding, and it was a beautiful memory I will remember always. It was a perfect day for sledding-lightly falling snow, quiet except for the shrills of excitement, and much laughter and joy and stories were had on top of that hill. We won’t always be able to do that, nor will we always be in the same state or even country to do those sort of things, but I just want every one of those friends to know that I truly treasured that day and January 18, 2014 will forever live on as a happy memory. Another thing I’ve realized is you will make time and go out of your way to make it count for the friends you want to keep close no matter what. A good example of this is my one friend and his wife. This friend and I have been through a lot, from being very close to not talking to each other, from distant acquaintances to mirroring sibling behavior. He is married, a father of two. I am single but in a very serious committed relationship with one of his closest friends, and not a parent yet. Yet the second he found out I got my first full time job, he excitedly congratulated me and asked me all about it. He even offered to help me move when the time comes. In response, I recognize that being his friend means also being friend to his wife and his children, for they are now a part of him. Meaning, hanging out means there will be wonderful children to play with and sometimes showing that friendship is letting him and his wife go and have a night out to themselves while we babysit their kids. We might not always be in the same part of the state, but we’ve made the effort to show we care so far, and sometimes when you have two willing parties willing to go the distance, those are the friendships that stand the test of time. Friends do come and go in and out of our lives, but sometimes you are gifted with a few rare ones that always stay a part of your life. I smile as I write this, and thinking fondly of sledding and nun runs and late night talks and crying on shoulders and shouts of joy in celebration and holding hands for encouragement I realize that in my case at age twelve, I never had the friends that I have had, have now, and will have. For that I am beyond grateful.